There have been several news stories in the past few years about visually impaired humans teaching themselves to “see” using echolocation. This remarkable skill allows blind people to navigate using sound, a talent usually associated with animals like bats and dolphins. 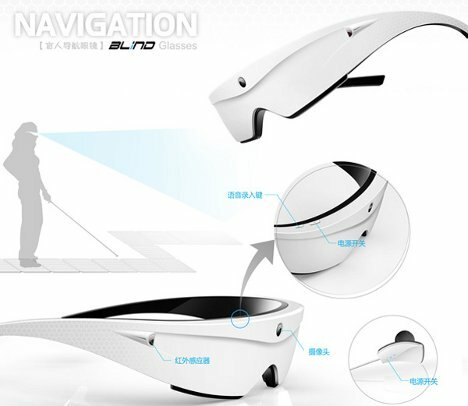 The Navigation Glasses for the Blind concept uses a somewhat similar concept to guide blind people away from obstacles. 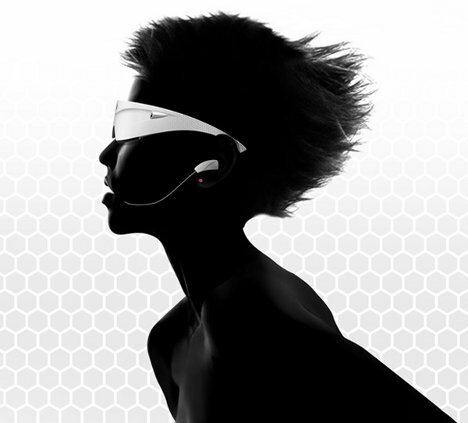 The concept consists of a pair of glasses, an earpiece and a microphone. The glasses scan the area in front of, behind and to the sides of the wearer, looking for obstacles. The wearer receives feedback in the form of sound indicating which way to go. It seems sort of like an auditory version of a white cane. The microphone is meant to give users a way to interact with the system, though it is not clear exactly how this works. 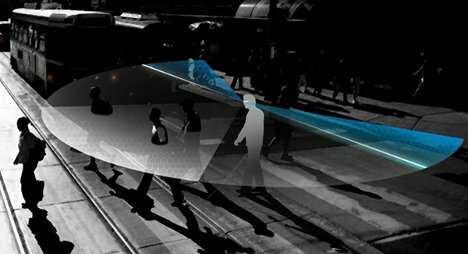 Maybe users can ask the glasses whether it is safe to walk in a particular direction or request specifics on a certain obstacle. 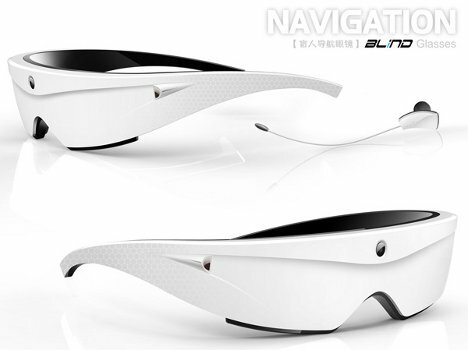 Sketchy details aside, the navigation glasses look like an effective and high-tech way to help visually impaired people make their way through the world safely. See more in Unbuilt Concepts or under Technology. June, 2012.